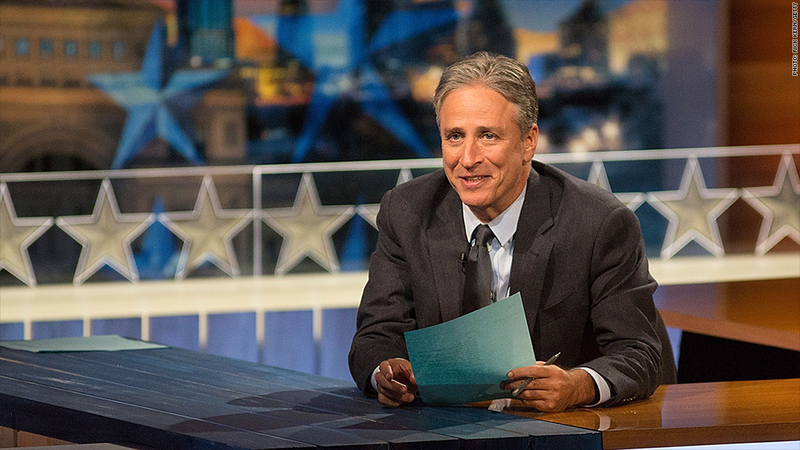 Will Jon Stewart's biggest guests return for his final week? As Jon Stewart heads into the final week as "The Daily Show" host, the question becomes who will show up to wish the long-time fake news anchor goodbye. There's been memorable guests over the host's 16 years as Stewart mentioned on Tuesday, but only a few can be considered quintessential "Daily Show" guests. The biggest name that could show up for his last run of shows has to be one of Stewart's biggest targets: Donald Trump. Stewart has been consistently lampooning Trump since his presidential bid announcement in June. Stewart has made fun of Trump's hair, made a song about how he hates to love Trump called "Summer Trumpin'," and called Trump "the candidate version of the hot dog crust pizza." Trump has said that he's been invited to come on the show before the end of Stewart's tenure, but there's no promises it happens and Trump's appearance remains a question mark. There's plenty of others that Stewart has poked fun at who could pop up, such as Fox News anchor Bill O'Reilly. 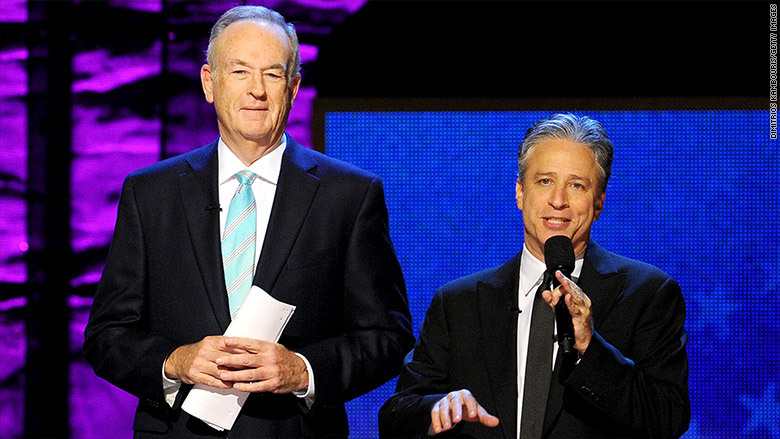 O'Reilly and Stewart have had a frenemy like relationship over the years. Each have appeared on the other's program, Stewart has said that O'Reilly is one of Fox News' best calling him "thinnest kid at fat camp." And they have even taken each other on in "The Rumble in the Air-Conditioned Auditorium," a debate that took place in 2012. Bill O'Reilly and Jon Stewart. There's also all of the former "Daily Show" correspondents who have gone on to become stars in their own right. This includes current "Nightly Show" host Larry Wilmore, actress Olivia Munn, "Last Week Tonight" host John Oliver, actor Ed Helms, and upcoming "Late Show" host Stephen Colbert. It would be very surprising if Colbert didn't show up being that he got his start on the "Daily Show" in 1997. In many ways Colbert has become as big as Stewart thanks to getting his own show, "The Colbert Report," in 2005. When Colbert ended the "Report" in December, Stewart and a menagerie of famous faces like NBC's Tom Brokaw, New York City Mayor Bill de Blasio, "Star Wars" director George Lucas, and Sesame Street's Cookie Monster showed up to bid Colbert farewell. As for Stewart, we'll have to wait until Monday to see who shows up to help one of TV's most popular personalities sign off. 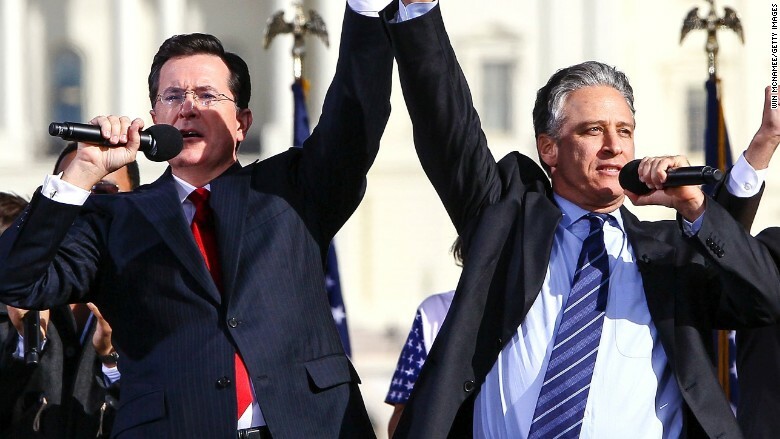 Stephen Colbert and Jon Stewart at their Rally to Restore Sanity and/or Fear in 2010.